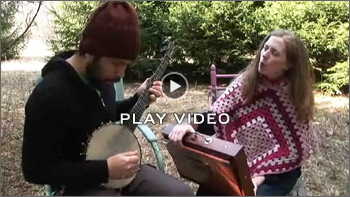 This lesson is intended to introduce students to the music of the American folk revival that developed between the 1940s and 1960s with notable figures such as Pete Seeger, Burl Ives, Jean Ritchie, Paul Robeson, and many others. 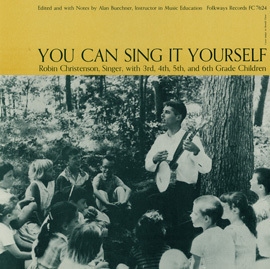 The point of this lesson is not so much to provide an exhaustive overview of this “folk revival,” but instead to actively engage students with some of the music, to allow them to understand the movement’s underlying values of inclusion and peace, and to reveal some of the cultural influences on this musical movement, ranging from African American spirituals to Chinese folk songs. Students will engage in a number of activities from singing and clapping to contra dancing. Prerequisites: Students should be able to match pitch when given a melody. The teacher should be able to read basic notation, but the exercises can all be completed without this skill, if need be. Play the first complete phrase of “Great Gettin' Up Morning” (0:00–0:15), and then ask: How many people were singing? How many were clapping? Now play the second phrase (0:16–0:25) and ask: Now how many people do you think were singing and clapping? (There is no wrong answer. Emphasize that more and more people join in as the song progresses.) Now explain that a hootenanny is like a party, one where everyone is included, regardless of who you are, where you’re from, or what you’re like. Emphasize that everyone is allowed and expected to participate in a hootenanny. Arrange the students (seated, cross-legged) in a large circle. 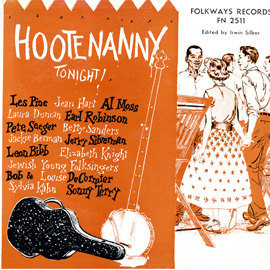 Explain that a hootenanny is a name for a kind of party that began in the United States during the 1950s, inspired by the music of many types of people including European immigrants and African American communities. Explain that this party is for children, parents, people, and ideas of all kinds. Hootenannies are for singing, dancing, and playing music with many different influences. 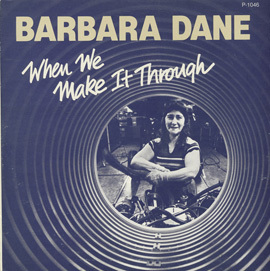 This particular song is influenced by African American spirituals. Listen again to the first two vocal phrases (0:00–0:25) and clap and pat along by mimicking the clapping heard in the recording. Alternate between patting both hands on the thighs and then clapping hands together. Follow the recording. Now teach the students to sing the song together (without the recording) in a call-and-response fashion while continuing to pat and clap. Explain that call-and-response is a common feature of African American spirituals. Use techniques such as, “When I sing ‘In that great gettin’ up morning,’ what do you sing next? ‘Fare you well. Fare you well.” Try it with the recording. When you see the moon a bleedin’. Fare you well. Fare you well. When you hear that rumbling thunder. Fare you well. Fare you well. In that great gettin’ up morning. Fare you well. Fare you well. Try splitting up the class. One half calls while the other half responds. Now explain that dancing is a big part of a hootenanny. Have everyone in the circle stand up and join hands. Tell all the students to move clockwise in a circle for one entire phrase of the song (comprising two subphrases) (0:00–0:15). Then have the students move counter-clockwise for the second phrase (0:15–0:25). Teach them to switch directions as a group for each new phrase. Have the students look at the person to their right and explain that this person is their partner. Then have the students look to their left and explain that this person is their corner. Then say, “Bow to your partner,” and show them how to bow, and then, “Bow to your corner,” and have them bow. Now show them how to “dosey doe” by folding the arms and dancing around the person next to them. Then practice by calling, “Dosey doe with your partner,” and then, “Dosey doe with your corner.” Explain that this is part of what is called “square dancing” or “contra dancing,” which is a type of dance that might be found at hootenannies. Explain that now everyone will join hands and circle one direction, but for each response, i.e., “Fare you well. Fare you well,” each student should alternate by bowing to their partner and then their corner. Then, try it with the music: Circle around, “In that great gettin’ up morning” with hands joined, and then, “Fare you well. Fare you well,” while bowing to partner. Then on the next phrase, circle in the same direction, but bow to corner during the response. For the next phrase, alternate circle direction and continue to bow (alternating) during responses. Now ask, “What is a hootenanny?” Emphasize that it is a party, a dance, a sing-along, a place for one and all, a place for music, a place for smiling, and so on (be creative and emphasize inclusion and community-building through music). Then explain that all of these things go together to make a hootenanny a hootenanny. Check for mastery of the dance steps that were taught during this lesson – Are the students able to do the correct steps while keeping in time with the music? In the 1940s, 1950s, and 1960s, many Anglo-American city-dwellers longed for a simpler life, a life in the rural countryside inspired by the lives of American immigrants from Europe before the Industrial Revolution. During this time, people drew on many different musical traditions to create hootenannies, sing-alongs, and campfire songs to reflect this nostalgia. 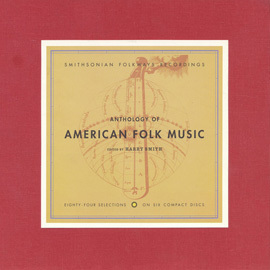 Individuals like Pete Seeger, Woody Guthrie, Burl Ives, and Uncle Dave Macon drew on American folk music to create the “American folk revival.” A major part of this revival drew on European-style ballads. Perhaps most important of these styles was the influence of Irish and Scottish balladry. Have students learn this song by paying special attention to the melody. Arguably, aside from the lyrics, the most important part of a ballad is melody. 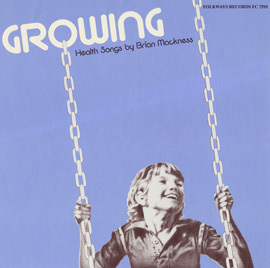 The “tuneful” quality of many ballads lends to group singing and is especially good for children’s songs. This is perhaps why so many ballads are part of the American folk tradition, because many people can easily remember the melody without much rehearsal. Additionally, because the melody is easy to remember and repeats often, this helps with memorizing the words to the song. Have students sing the following melody** on la without the recording. Use instrumental accompaniment if available, e.g., piano or guitar. What news have you brought unto me, Lord Thomas? What news have you brought unto me? Oh Mother, oh mother, would you go or stay? But here is the flower of all"
God send us all to rest"
Now play “The Rich Irish Lady” and ask the students what they think is similar about the two songs. While there are differences in rhythm and ornamentation, the melody and lyrics are based off of “The Brown Girl.” Explain that many ballads borrow from each other as they travel around from place to place. Emphasize that both of these ballads have strophic form. This means that the melody and accompaniment remain basically the same, but the words change from verse to verse. Ask students what they think is the theme of this song. Birds! Many ballads discuss nature and animals, telling stories about how the world works together in peace and harmony. Depending on age and interest of the group, create cutouts of different birds using your creativity and crafting materials. Put them on Popsicle sticks or some kind of rod. Fill bowls with sugar lumps like in the video and have students mimic the actions. This will help them remember that many ballads are about nature and animals by linking this theme to a fun activity. Create new lyrics by asking: What other kinds of birds are there? And what sounds do they make? It should be fairly easy to insert new lyrics into this song based on what everyone comes up with. Ask: What have you learned in this lesson? They should now know the terms ballad, strophic form, and understand that repeating a melody is an important part of remembering lyrics. These lyrics are often stories about life, love, animals, and nature. 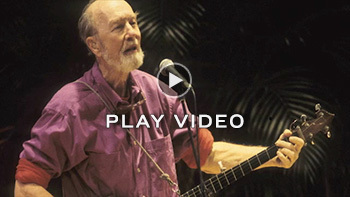 Listen to Pete Seeger talk about one of his most famous tunes, “Turn, Turn, Turn,” and discuss how important melody is to support the lyrics of the song. Would you expect to hear someone speaking Chinese at a hootenanny? While the spirit of the American folk revival was peace, tolerance, and inclusion, most participants came from Anglo-American middle-class backgrounds. This demographic may have made up the majority of hootenanny attendees, but their spirit was welcoming and open to all. Beyond that, this spirit of inclusion transferred to the influences on music in the folk revival. We’ve already discussed the strong Anglo-European folk influences and the strong African-American influences on this musical revival, but there were others, too. Have students listen to the beginning of “Riding the Dragon” (0:00–0:33) and ask them what languages they hear. Did anyone guess Chinese? Liu Lang Mo, a Chinese immigrant who became famous in American folk circles for his expertise in Chinese folk song, introduced this tune in the United States. This song was adapted from Liu’s song. Listen to the rest of the song (0:34–1:16). Ask the students what instruments they hear. 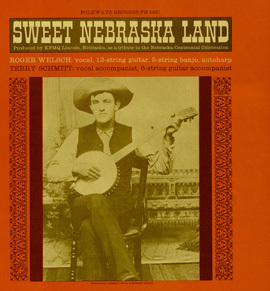 Explain that a wide variety of influences, like language, were adapted for the American folk style using classic American folk instruments such as the guitar. In Lesson 1 we sang and danced with the song “Great Gettin’ Up Morning,” which is based on the style of African American spirituals and gospel music. Emphasize to the students that this African American tradition is one of the most important influences on American folk music. 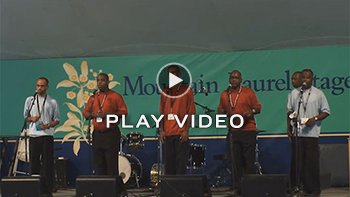 Play “God Said He Would Move” as another example of a song influenced by the spiritual tradition in African American music. Play “Minglewood Blues” and ask the students what kind of music it is. Explain that the blues is another important genre of music that influenced the American folk music revival and American music in general, including today’s popular music. Ask them what instruments they hear in “Minglewood Blues.” Do they hear harmonica, guitar, banjo? All of these instruments are staples in American folk music, mostly because they are easy to carry. Being able to carry instruments from place to place, to create impromptu sing-alongs—even hootenannies!—while on the road is an important aspect of the American folk music tradition. 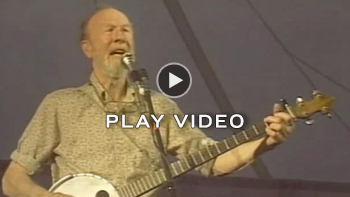 Listen to Pete Seeger sing the “National Anthem.” Ask students why he told the story about the flag at the beginning. Emphasize that Pete Seeger, one of the main figures in the American folk revival, often told stories before his songs and during them too by singing the stories. Through these stories, Pete Seeger wanted people to understand what really mattered in life—community, inclusion, being together, getting along. The brown stripes on the flag are meant to convey a message that all types of people should be welcome in this country (and are especially welcome at hootenannies and sing-alongs). Ask students to brainstorm about ways they can create their own hootenannies in their homes or neighborhoods. Ask them who they would invite and why. Ask students what kinds of music they would bring to their hootenanny and why. Would it be American folk music or their favorite songs on their iPods? Does anyone play the guitar? Do any family members play an instrument? What kinds of instruments would people play? Would there be food at the hootenanny? Would people dance? What kinds of dancing? What kinds of cultural influences might exist at their own personal hootenanny? Discuss family backgrounds and identities, etc. Have students share their ideas with the class or pair up with partners. Students will be asked to create their own ‘hootenanny’project. Each student must choose 3 songs that represent themselves. 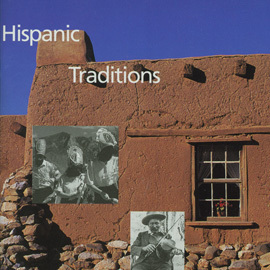 At least one song should represent their family or cultural background. Each student will pick one of the three songs they chose and will present it to the class by singing, dancing, playing it on an instrument, or doing some combination of these three things. * Pete Seeger told a story about how many have pointed to a woman from Texas nicknamed “Hootin’ Annie” to explain the etymology for this type of get-together. He insisted that the first time he heard the word “hootenanny” was in Seattle, Washington. This name beat out “wingding” by a nose for the sing-alongs he hosted in New York City during the 1950s and 1960s. The actual etymology of hootenanny can be traced to the Scottish word hogmanay, an important type of celebration in the Scottish calendar. Most likely, this term was genericized to signify any type of festive get-together among immigrant communities in the United States. 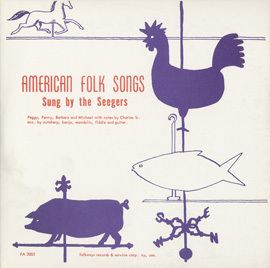 Thanks to Pete Seeger, it became part of the American folk revival vernacular. ** This melody is only an approximation. Each verse changes slightly based on different ornamentation and syllabic treatment of the lyrics. This change is part of what makes ballads interesting.